Fried chicken is an american favorite, whether it is fast food chicken or fancier southern fried chicken, fried chicken is delicious. 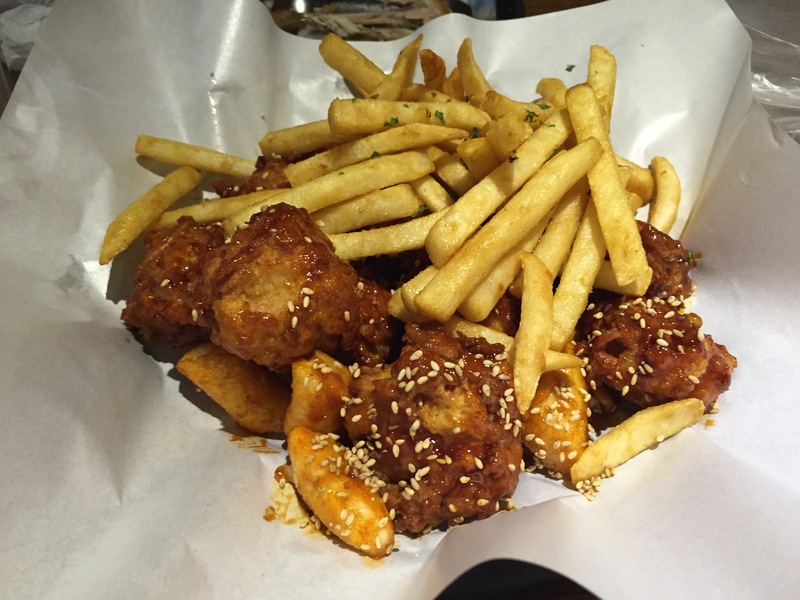 Well no visit to Korea is complete without trying Korean fried chicken. It is AMAZING. The chicken is always hot, it’s always flavorful, and you’ll always want more. 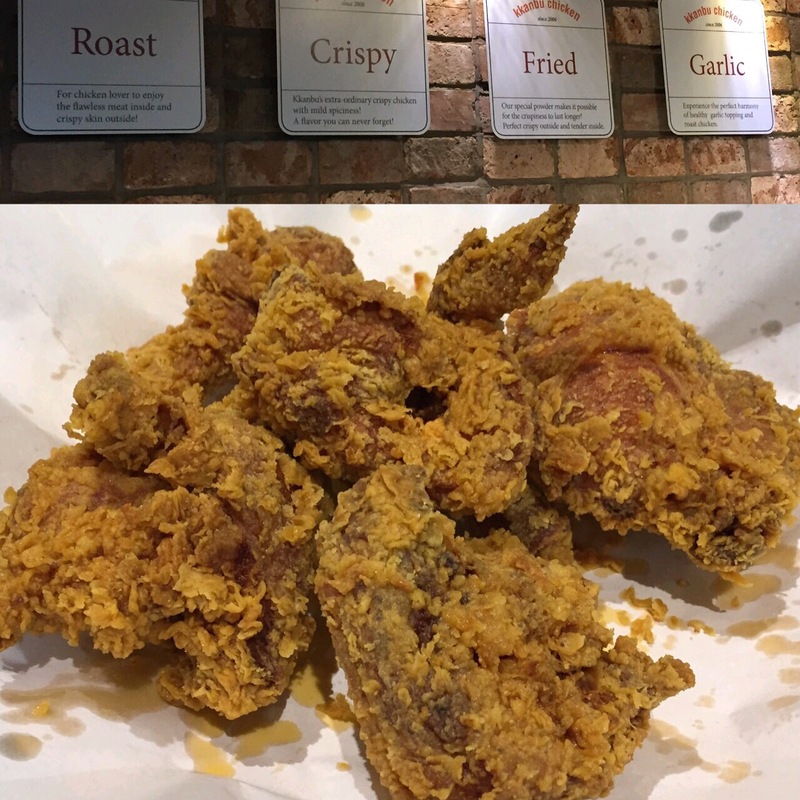 As you walk around Seoul you will see plenty of places selling Chicken and Hof (Chicken and Beer), so there is no shortage of fried chicken here. Now which place to go, that’s what we need to know! We happened upon KKanbu Chicken in Hondae one night and we are so happy we did. There were lots of people inside and it smelled and looked pretty awesome. We sat down and pondered what to order, and in traditional fashion, decided to try a little bit of everything. Extra Crispy Chicken: This is more like the fried chicken we are used to. The outside is perfectly crispy and the meat inside perfectly moist and hot. Garlic Roast Chicken: I didn’t expect this to be anything special, I mean we have all had a Rotisserie chicken before right? Well it comes topped with a ball of minced garlic and herbs. The garlic isn’t overwhelming, it has a nice hint of sweetness and is a good complement to the chicken. The chicken itself was very tender and flavorful. Last, but not least is the Hot Tasted Chicken (yes they might need to update the description on the menu). It is indeed hot, so those who can’t handle spicy should avoid this one. It is a nice chunk of boneless chicken covered in batter, deep fried to perfection and then coated in the spicy sauce. It’s so yummy! We also like all of the fries there. You’ll never get those limp fries that have been sitting waiting for someone to order them. You will only get freshly made fries that are hot and delicious. As you try different restaurants that serve fried chicken, be aware that pieces that look like boneless chicken may not be. They have this habit at some places of cutting up bone in chicken, battering it and frying it. Not at Kkanbu, the boneless chicken is actually boneless. But better be warned ahead of time than be surprised when you bite into your chicken. 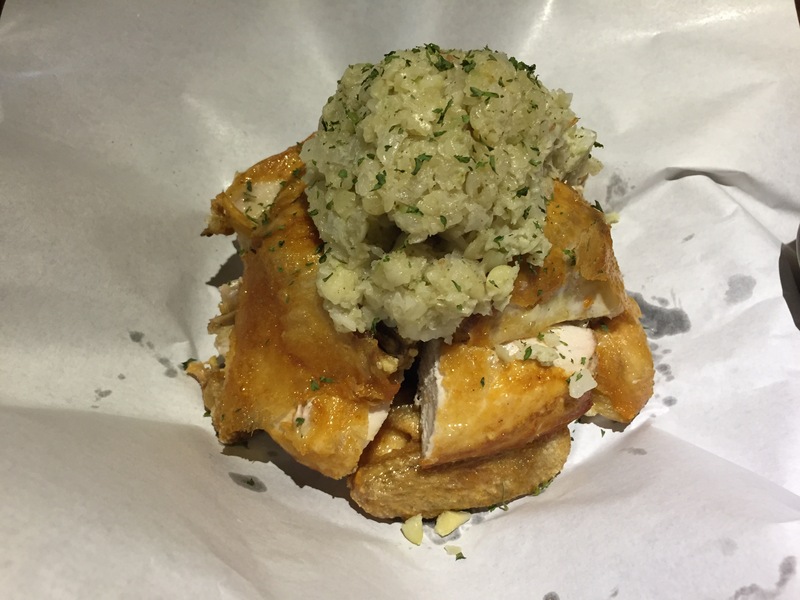 Well writing this post sure is making me hungry….maybe I’ll need to go for chicken again soon! I keep hearing about Korean fried chicken! I didn’t realize it was so different! Thanks for sharing!